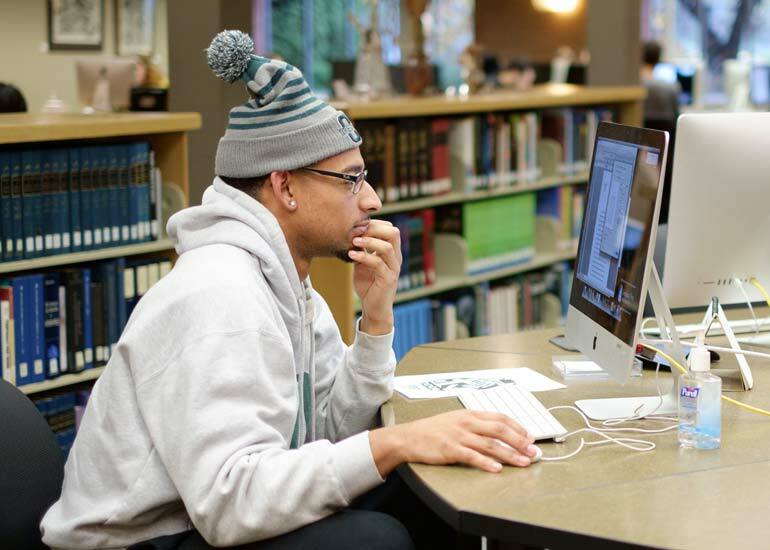 Whether you plan to pursue a career in the helping professions, public administration, law, business, politics or education, a bachelor’s degree in sociology from George Fox University is a great start. Sociology is the study of social life, social change, and the social causes and consequences of human behavior, so it’s a versatile discipline that gives you plenty of career options. Sociologists investigate the structure of groups, organizations and societies, and how people interact within these contexts. The sociology major serves as a broad liberal arts base for professions such as law, medicine, counseling, criminology/corrections, law enforcement, urban planning, social work, education and community development. It is also an excellent choice for those planning to become a college professor, researcher or applied sociologist. What further distinguishes our program is the fact we offer a Christian college environment that encourages not only academic – but spiritual – growth. The generalist concentration provides students with the opportunity to hone their skills in critical thinking and analytic reasoning. Graduates with this concentration will be prepared for admission into graduate programs, careers in higher education or research, and/or entry-level practice positions within a variety of private and public settings where knowledge of human relationships and methodological skills is helpful. Students interested in sociology-related topics including international conflict and peace, men and women in society, cultural anthropology, sociology of families, sociology of sexuality, and race and ethnicity can tailor their degree with a global and intercultural studies concentration. These courses specialize in helping students understand the reciprocal relationships between individuals and society, and how the self develops under the influence of societal and structural factors. Students can take this concentration if they have a keen interest in social justice issues in society. The 18-hour concentration incorporates six classes, with options that include Men and Women in Society, Social Change, Social Stratification, Global Political Economy, and International Conflict and Peace. Request more information about the sociology major at George Fox University or schedule a visit to begin your education at Oregon's Christian university, ranked as one of the top Christian colleges in the nation by Forbes. According to the Bureau of Labor Statistics, the job market will be a competitive one for soclologists through 2024. Graduates with a BA in sociology can expect to secure an entry-level position, while those with graduate degrees will often receive advanced positions and a higher salary. Students will complete an original research project by defining topic, methodology, and collecting and analyzing data. Some topics of research completed by sociology seniors have included homelessness count in Yamhill County, prostitution in Portland, Ore., and the function of small-scale farms and their consumer support base. Participate in a community activism project in the Social Change course. Apply for study abroad or for Richter Scholarships for research and study. Study criminal justice at a university that emphasizes social justice and service. The minor is open to students in all majors. Engage in course material and discussion surrounding issues related to the criminal justice system.